Owners Jeremy and Carrie Johnston bought their first semi and grain trailer in 1999. The following year they created JJ Trucking Ltd. And in 2001 built a 6000 sq. foot shop along highway 13. 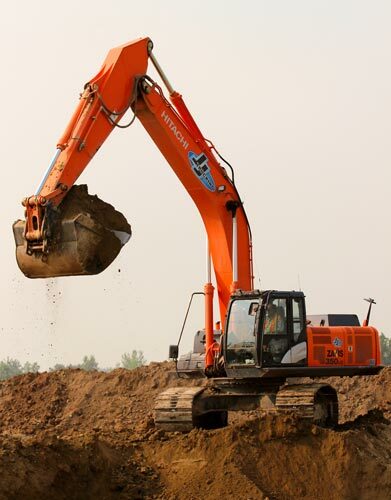 The first 10 years saw a rapid growth of the business to include over 50 semis, 10 excavators, and 5 graders. Jeremy and Carrie built an administrative office at the end of Main Street in Arcola, Saskatchewan in 2009. JJ Trucking Ltd.’s continued expansion brought the need for a much larger shop, and a new 20,000 sq. foot shop was constructed in July 2012. JJ Trucking Ltd. offers professional, reliable and expert gravel hauling, excavation, earth moving, equipment hauling services for the oilfield construction, roadway construction and site development industries. More than 100 employees provide the expertise to get the job done right and on time.